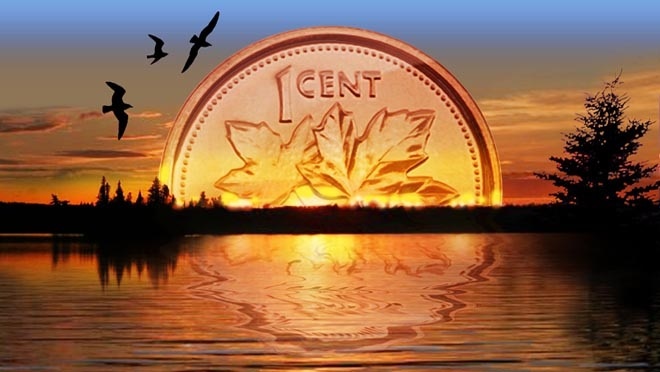 Since the banishment of the Penny we round up in Canada. I pay a little more for things but my pockets are quieter and my purchases bear more symmetry. There is a cost to settling trivial debts that far exceeds the payment. Drop three pennies and you become a pauper or a scoff law in the eyes of the public, the middle ground lost in a moments clumsiness. It is better to be even. I turned Thirty Eight last week. A not young age of no particular significance.I look less so, to the extent that people argue the number. My appearance fueling a bizarre debate that I cannot be this awful thing. It is odd to defend a compliment by asserting a condition. I’ve stopped clarifying and adopted “essentially forty” as a stock answer. It feels true and communicates something of a state. I’ve earned my old and the lesser assumption, while generous, feels reductive. I have no desire to be less, to pretend my adulthood came easier and more cheaply than it did. There is nothing precocious about my maturity, I’ve learned slowly and painfully and with a cost often borne by the women in my life. The person that I’ve become is a product of the distance that I’ve traveled and those walking beside me, to round down either is to diminish both. It is better to be even. Embrace the age…I’m forty, but for some reason most people consider me to be younger. And oddly, that doesn’t bother me at all. You should at least cut back on your crime fighting. Rooftop leaps get hard on the knees and back over time. Besides it takes too much effort to maintain a Superhero physique. Never stop wearing super hero t-shirts. Ever. OK. I needed that. I won’t. Ever. It’s my 39th birthday today and I know exactly how you feel! 😀 I like being this age. There’s much clarity to be found at this time. I work with a lot of young people, early 20s or so, and I feel much calmer than they seem to be. I have a drum of them in my basement. If you start Jonesing I’ll send a sock full of non currency your way. I would be DELIGHTED! 😀 what a gent you are! Every once and a while I put aside the gimmicky stuff and bust out some arty prose. It’s is less fun, but why have a blog if you can’t engage in the occasional bout of pretentious introspection. I’ve done the same thing. I just tell people I am 40. When I hit 40 I think I will start telling people I am 45. I’m going to starting randomly jumping my age around every year once I hit my 40’s. Eventually I plan on being vague and implying some sort of mysterious immortality.